Currently, Mike is the President of Baseline Tennis. Mike’s previous assignments with Baseline Tennis include, General Manager of Farmington Tennis Club, head pro at Birmingham Athletic Club and ran the day to day operations at the Birmingham Racquet Club. He previously spent six years as the Sports Director at The Sports Club of West Bloomfield where he had worked since 1987. He has been very involved in all aspects of Southeastern Michigan tennis, serving on the SEMTA board, USPTA Midwest Board, Competitive Training Center Coach, USTA District Endorser, Cystic Fibrosis Tennis Auction Ball and many others. He played four years of Varsity Tennis at Oakland University and graduated with a degree in Marketing in 1991. His top tennis achievement may have come when he and three other Michigan professionals were inducted into the Guinness Book of World Records for 111 hours of continuous doubles play in 1990. Matt has taken over as the Director of Tennis at BRC after three years as the Adult Director. He graduated from Ferris State University’s Professional Tennis Management Program in May of 2004 and since then has served for five years as the Director of Tennis at the Birmingham Country Club and spent last summer as the Head Pro at the Birmingham Athletic Club. Matt’s teaching experience includes time at the Westmoreland in Chicago as well as the well-known Van de Meer Tennis Academy in Hilton Head, South Carolina. He enjoys working with all ages and levels of play and looks forward to serving all of BRC’s clientele. Mark returned to the Detroit area after spending 22 years in Europe coaching tennis. He has a long list of accomplishments with over 30 plus years of teaching tennis. Some of Mark’s credentials include: Chairman of Junior Development of SEMTA for four years in the early 80’s, travel coach for many internationally ranked juniors, as well as he was the National Coach of Malta which included captaining their Davis Cup and Federation Cup teams. Mark has developed himself as a high-level instructor and coach who cares deeply about getting the most out of his students. Kelly is a USPTA certified teaching professional and a graduate of Spring Arbor University where she played #1 and #2 Singles and #1 Doubles. She has been playing tennis for 16 years and has 10 years of teaching experience, 8 of which have been with Baseline. 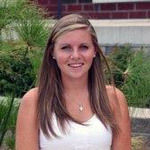 She currently teaches at BRC and Orchard Lake Country Club and previously taught at Birmingham Athletic Club and various Parks and Rec facilities in the area. Kevin is a USPTA certified professional with 15 years of teaching experience. In addition to his Elite level USPTA certification, Kevin is also USTA 10 & under certified and Cardio/TRX certified. In 2017 Kevin was named the USPTA Midwest Division Michigan professional of the year. 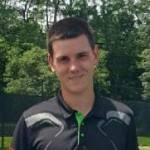 Most recently Kevin was a pro at Lifetime Fitness in Rochester Hills and is now excited to join the pro staff at the Birmingham Racquet Club. Kevin’s coaching background includes coaching high school tennis and basketball at both the junior varsity and varsity level.